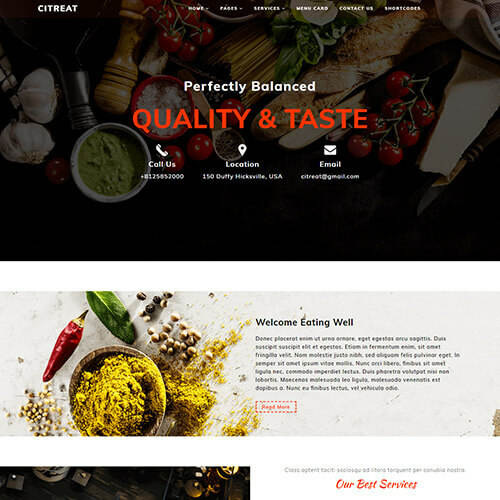 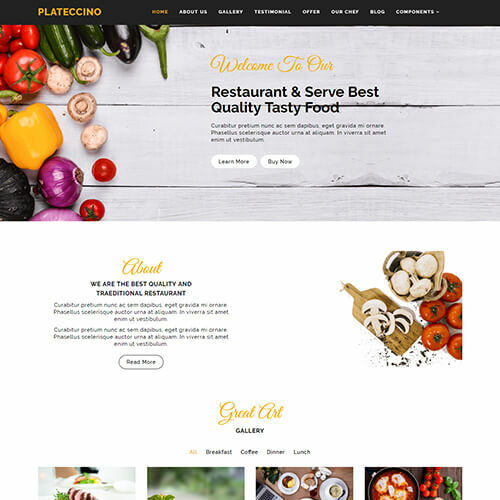 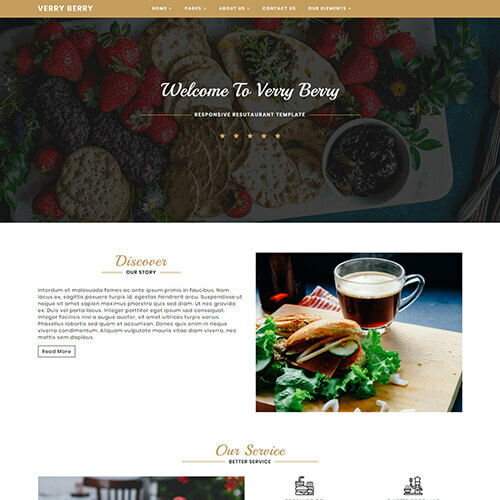 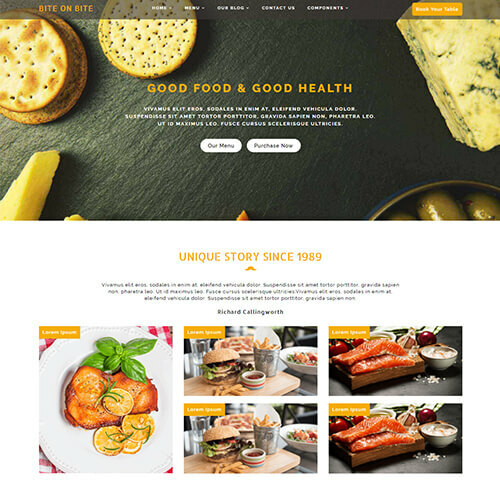 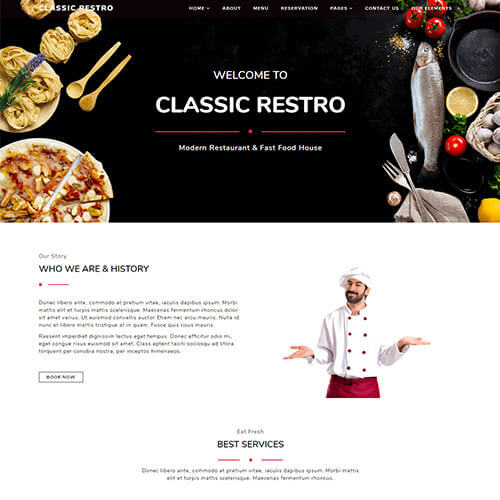 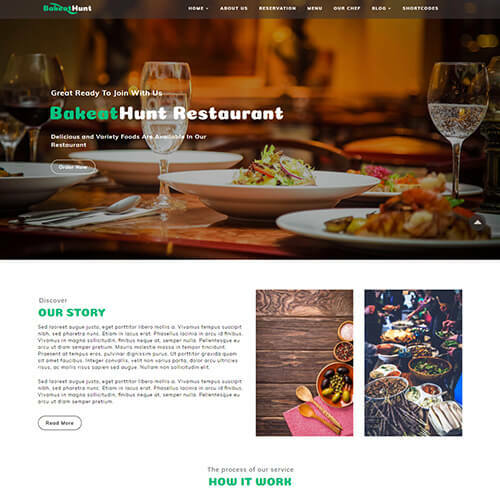 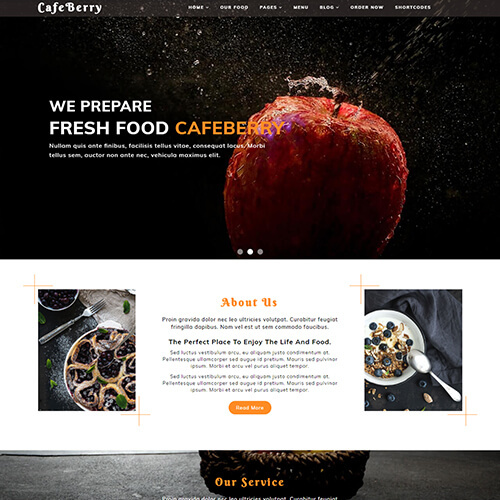 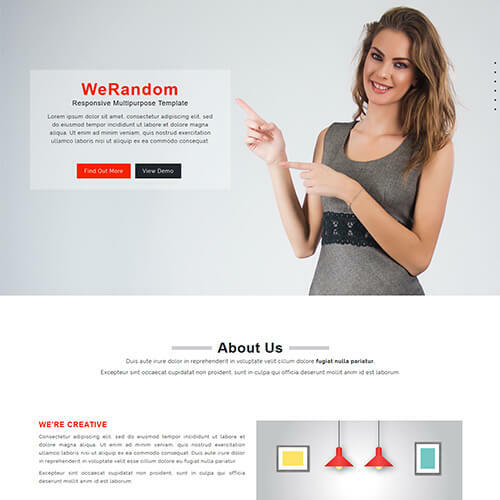 A Professional and free HTML template for restaurant, hotel, café, coffee house, bakery, seafood, steak restaurant and for many other purposes. 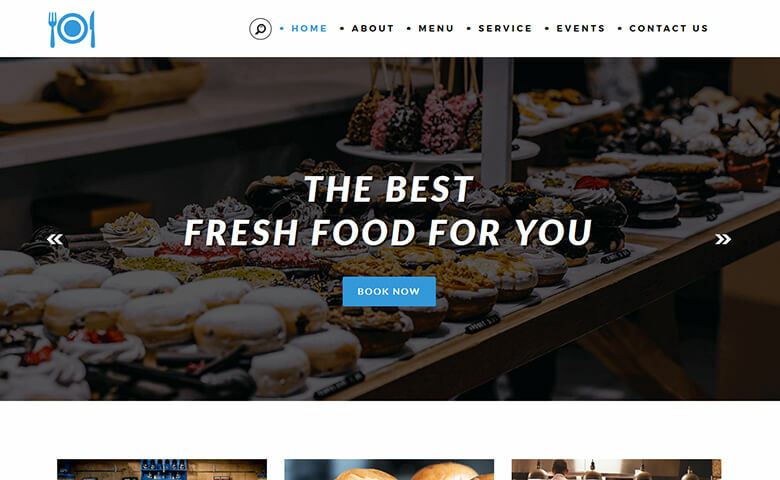 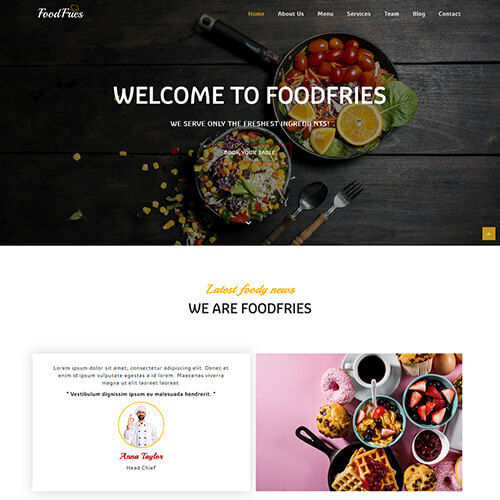 Foodvivers is a responsive hotel and restaurant website design template and best for all the food and hotel related websites to increase the business revenue. 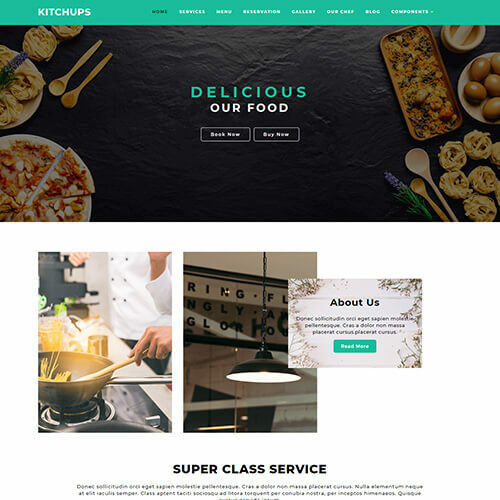 Attract the visitors with its stylish designs, amazing slider presentation, displayed menu in distinct mode, unusual counters for statistics, exhibited menu in light-box effect, showcased chef team in sliders, booking form for advance bookings. 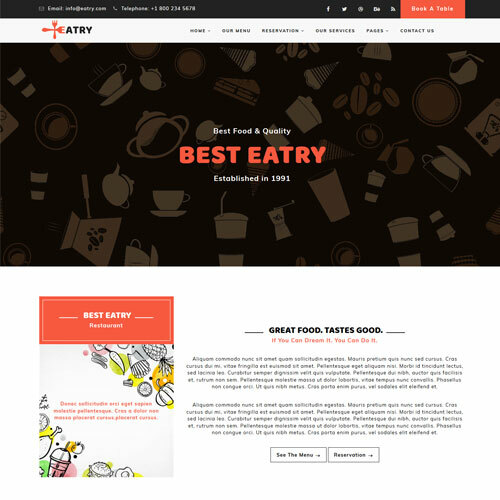 The different pages with an enticing content display on each page make the website stand out amongst others. 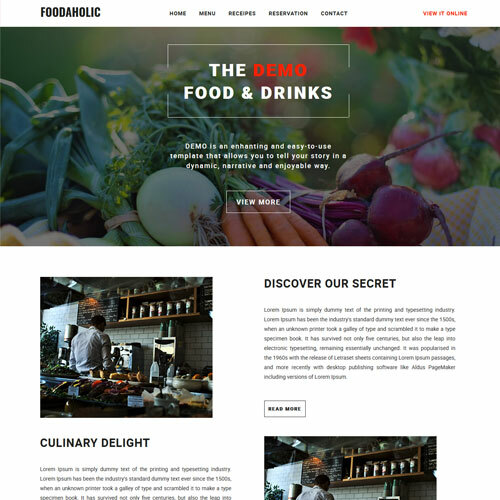 The icons, shadow effect, horizontal tabs, uniquely designed events page, twitter feed and newsletter subscription make the site more pleasing than others.